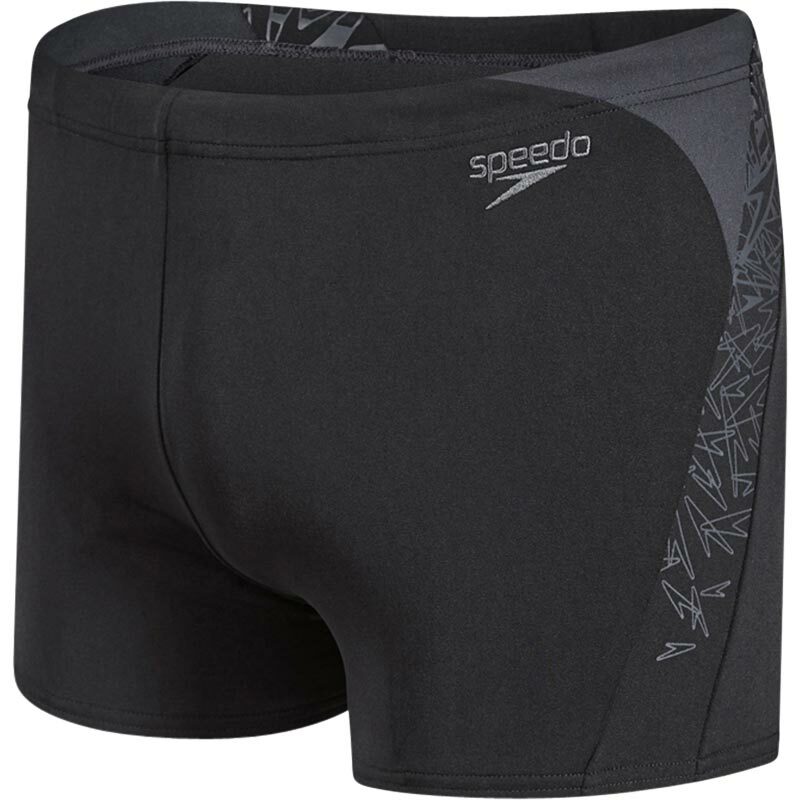 Featuring Speedo's new signature print Boom the Speedo ® Mens Boom Splice Aquashort is a stylish short great for fitness training and includes a drawstring waist for enhanced comfort and fit.Made from 100% chlorine resistant Endurance+ fabric, they offer total freedom of movement so you can focus on your swim. Drawstring waist for enhanced fit and security. Freedom of movement with 4 way stretch technology for comfort and softness. Endurance+ fabric retains it's shape longer than any other swim material.